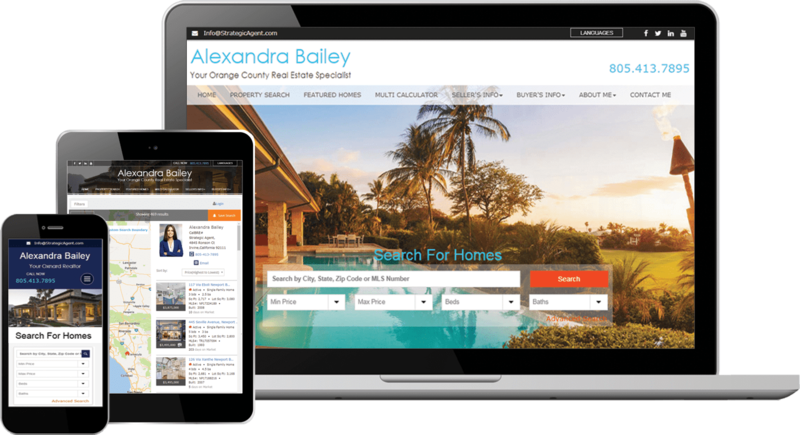 Premium Agent Website, with IDX! 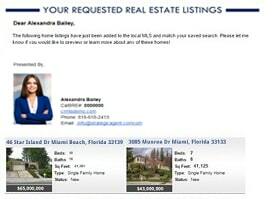 CRMLS, Miami Realtors, Sandicor Members Only! 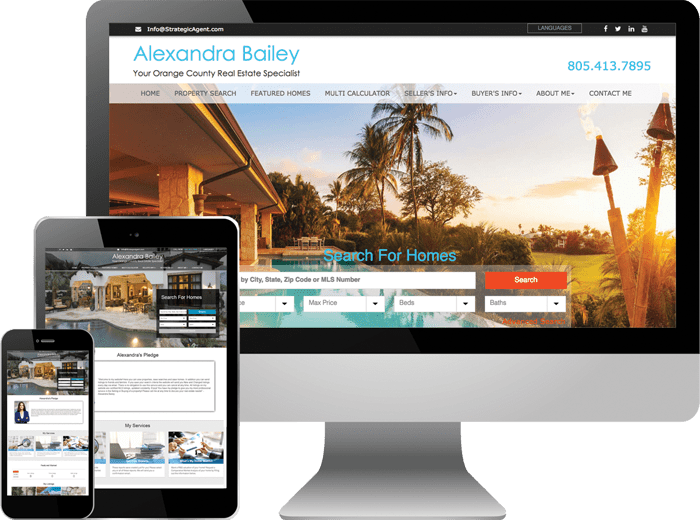 Your site is loaded with everything a real estate agent would need, and it’s easy to customize yourself. Integrated Content Management System (CMS) that is simple to use to edit your Website and IDX. Your IDX will be fully integrated, turn-key and ready to work for you! 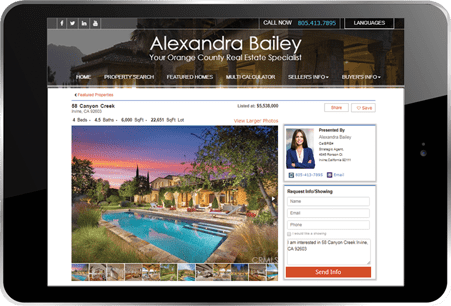 Add market searches, add new local area pages, open house page, office listings, SOLD listings and more! All pages can be optimized for the user by quick custom keyword additions on every single page you have! Choose the look & feel of the site, color scheme, and layout. Change it at any time with the click of a button. Your Website and IDX automatically adapt to any device or screen size. Easy to use! Google friendly. Our IDX solution offers Free Listing Alerts that helps you stay in your prospects inbox and on their mind every day. Listing Alerts is an email marketing feature that sends daily or weekly emails directly to your customer based on the search criteria that they entered for properties. The alerts will be branded to your name and linked to your web page and will allow you to stay in constant contact with your customer. 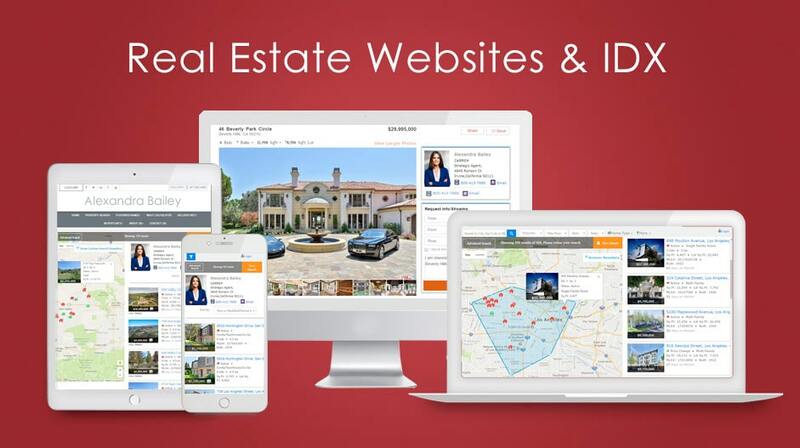 Our IDX also allows users to sign up for free email listing alerts when desired properties become available as well as one-click contact points to ask questions or book listing.Anytime a new listing comes on the market that matches your needs, my ‘system’ will automatically email it to you. This simple trick will boost your business with extra business generated all year long. 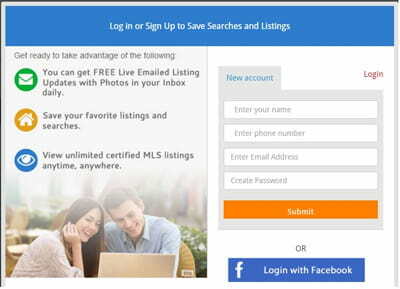 Clients and prospects can sign up for email updates that alert them to new listings that meet their search criteria. You’ll be alerted to click-throughs, signups, instantly on your phone email. 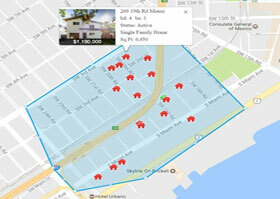 Site visitors can save, rate and comment on their portfolio of properties using the Property Organizer included in your site. They can create and edit saved searches and email alert settings all by themselves, automatically. 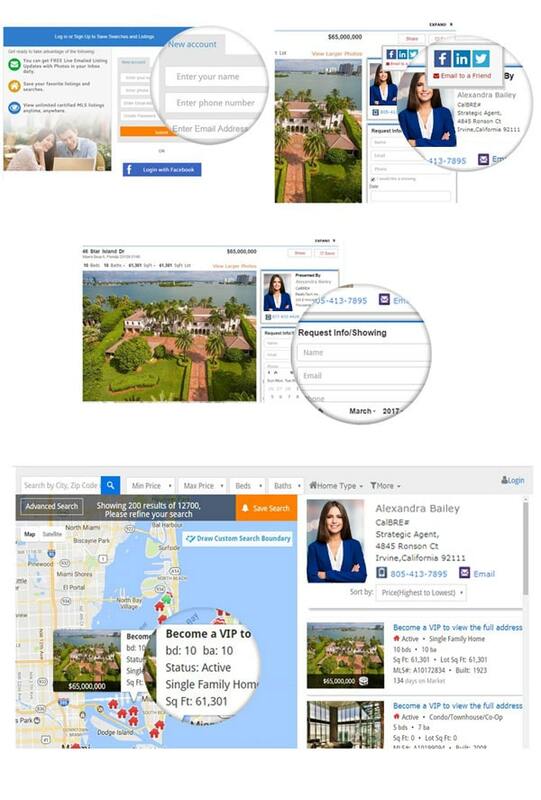 A variety of lead capture forms allow site visitors to schedule showings, request information and more. Customize when, where and how visitors are prompted to register in the search process. Create your own custom forms with our exclusive “Form Generator” system. Emailed updates and a list of Website and IDX Leads/Activity keep you up-to-date on what leads are searching for and saving on your site. Access all lead activity and information from your smartphone. You can email all leads to a third-party CRM to further manage follow-up if you desire. For months I was searching for a company that could handle our Website needs. After going through the maze of many vendors, and trying a few, I was fortunate enough to find Strategic Agent. I built and maintained my own websites since 1994. Last year i turned it all over to Strategic Agent. For the cost they are the best I could find and the customer support has always been helpful, polite and gracious. I say give them a try. The Agent Premium Package includes the Mobile Responsive Website, IDX, Hosting and Email Support. You Get ALL the Following Features! NOT QUITE SURE YET? CONTACT US FOR MORE INFORMATION.